Today, the post is about four meetings with former Prime Minister Saeb Salam in April, May, July, and August 1976. SUMMARY: ACCORDING TO SALAM, ASAD HAS NOT CHANGED HIS POLICY OF POOPOSITION TO EDDE PRESIDENCY AND CONTINUES HIS EFFORT TO SUBVERT AND CRUSH JUMBLATT. THIS IS BOUND TO LEAD TO CON- TINUED SPOILING ACTION BY JUMBLATT, WHOM PALESTINIANS CANNOT AFFORD TO DISASSOCIATE THEMSELVES FROM PERMANENTLY. END SUMMARY. MOSLEM COMMUNITY FROM SYRIA. SALAM SUMMED UP THAT ASAD HAD NOT CHANGED HIS OPINION ON EDDE, BUT SEEMED AT LEAST TO HAVE WAVERED SOME. 2. SALAM TOLD ASAD THAT SYRIANS ARE VERY BADLY INFORMED ON REALITIES OF LEBANON. (THERE ARE AT LEAST SIX POINTS IN SYRIAN ESTABLISHMENT OT WHICH INFORMATION ON LEBANON FILTERS IN AND WHICH ARE INVOLVED IN LEBANESE AFFAIRS, SUCH AS ARMY INTELLI- GENCE, BAATH PARTY, ETC.) SYRIANS HAVE HANDLED THEIR INTER- VENTION VERY CLUMSILY. 3. A LEADING EXAMPLE OF THIS CLUMSINESS IS WAY SYRIANS ARE DEALING WITH JUMBLATT. ASAD INSISTED THAT HE COULD CRUSH JUM- BLATT AND SALAM INSISTED BACK THAT HE COULD NOT. HE MUST TAME HIM SINCE HE CANNOT DESTROY HIM. INSTEAD, ASAD REVEALED VARIOUS SYRIAN MANEUVERS WITH OTHER MEMBERS OF DRUZE COM- MUNITY WHOM HE NAMED TO SALAM. (SALAM HERE DROPPED A COUPLE OF FAIRLY UNKNOWN NAMES.) ASAD WAS UNDER THE IMPRESSION THAT HE COULD THROUGH THESE PEOPLE SUBVERT JUMBLATT’S HOLD ON THE DRUZE. ASAD THOUGHT HITTING THE DRUZE HARD WOULD MAKE THEM DROP THEIR ALLEGIANCE TO JUMBLATT BUT SALAM IS SURE THAT WILL ONLY INTENSIFY THEIR ALLEGIANCE TO HIM. MEANWHILE, JUMBLATT CONTINUES TO PLAY WITH LEBANESE LEFT WING AND PALEST- INIANS IN ORDER TO PROTECT HIMSELF FROM THE SYRIANS. 4. JUMBLATT REALIZES, ACCORDING TO SALAM, THAT COMMMUNISTS HAVE MADE GREAT GAINS IN THIS COUNTRY. THEY HAVE ATTAINED CHAOS WHICH THEY ALONE WANT, USING OTHERS. SALAM ATTACKED ASAD WITH THIS. HE ACCUSED ASAD OF UNWITTINGLY BUILDING UP THE IMPORTANCE OF THESE COMMUNISTS WHEN HE SENT SYRIAN PLANES TO LEBANON AND SHUTTLED SO-CALLED “PROGRESSIVE PARTY LEADERS” BACK AND FORTH TO DAMASCUS. THESE “PROGRESSSVIVE PARTIES” BREAK DOWN BASICALLY TO JUST TWO: HAWI, LEADER OF THE COMMUNISTS, AND MOHSEN BRAHIM OF THE COMMUNIST ACTION GROUP. THEY HANG AROUND JUMBLATT AND KEEP HIM SAYING AND DOING THINGS THAT THEY WANT. 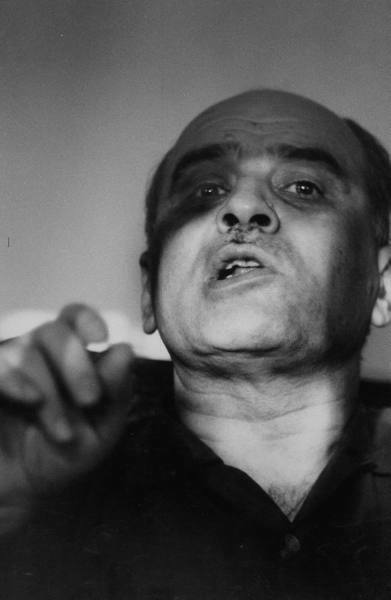 SALAH EL-JDIDE, HIS OLD OPPONENT WHO WAS IN PRISON. 6. AS TO EDDE’S OPPONENT SARKIS, SALAM ALLEGED HE HAD VERY SHADY CONNECTIONS. ONE WAS KHALID KHUDR AGHA, A MAN WHO HAD KILLED HIS OWN FATHER-IN-LAW IN ORDER TO INHERIT A FORTUNE, SERVED PRISON TIME FOR THAT CRIME, BOUGHT HIS RELEASE AND WAS PROBABLY THE AGENT FOR FIVE OR SIX FOREIGN POWERS AND YET WAS ONE OF THE PRINCIPAL BACKERS OF SARKIS. OTHER BACKERS WERE PEOPLE SUCH AS AHED BAROODY, SALIM EL-KHOURY AND ARMENIAN DEPUTY SORAN KHANAMORIAN. HE COULD NOT ACCUSE SARKIS PERSON- ALLY OF WRONG-DOING, BUT SARKIS RAN AROUND IN A VERY SUSPECT CROWD. 7. FINALLY, SALAM SAID HE WAS GETTING REPORTS FROM PEOPLE CLOSE TO CHAMOUN, ONE OF WHOM HE TELEPHONED IN LAMBRAKIS’S PRESENCE, THAT CHAMOUN WAS BEING PUSHED FORMALLY TO ANNOUNCE HIS OWN CANDIDACY FOR PRESIDENT. AFTER THE CONVERSATION, HE SAID THIS WAS POSTPONED, TEMPORARILY AT LEAST. SALAM ALSO CLAIMED THAT CHAMOUN WAS NOT BACKING SARKIS FOR PRESIDENT AS WERE PRANGIE AND GEMAYEL. CHAMOUN MIGHT IN FACT BACK EDDE. 8. COMMENT: MOST SERIOUS EXTRACT OF THIS DISCUSSION IS CONTINUED SYRIAN EFFORT TO CRUSH AND/OR SUBVERT JUMBLATT. SINCE JUMBLATT IS AWARE OF IT, IT GUARANTEES JUMBLATT’S DEFENSIVE REACTION AND JUMBLATT IS PAST MASTER IN SPOILING GAMES. BY SAME TOKEN, PALESTINIANS CANNOT AFFORT TO BREAK WITH JUMBLATT AND THUS LET SYRIANS DIVIDE AND CONQUER THEM SEPARATELY. END COMMENT. 1. HAD LONG TALK WITH EX PRIME MINISTER SALAM LAST NIGHT. HE MADE STRONG APPEAL FOR OPEN U.S. SUPPORT OF EDDE, WHICH I FINESSED. 2. I STRESSED THERE IS NO REPEAT NO U.S. CANDIDATE AND IT UNTRUE U.S. AND SYRIA HAVE AGREED TO PUSH SARKIS. LATTER STORY IS BING PEDDLED ABOUT TOWN AND SEEMINGLY TAKEN SERIOUSLY BY JUMBLATTISTS, PALESTINIANS AND PEOPLE LIKE SALAM WHO ARE CLOSE TO THEM. 3. I ALSO TOLD SALAM THAT CONTINUED VIOLENCE PUT INTO DANGER NOT ONLY ELECTION BUT VERY FABRIC OF LEBANON. WESTERN WORLD IS EXTREMELY CONCERNED AT THIS MOMENT, AS I COULD ASSURE HIM FROM MY TALKS IN WASHINGTON. BUT IF ALL PARTIES CONCERNED IN LEBANON PREFER FIGHTING TO NEGOTIATION AND COUNTRY SLOWLY FALLS INTO RUIN, IT COULD BE JUST POSSIBLE THAT MAJOR POWERSCOULD TURN AWAY. THIS WOULD BE A TRAGIC POSSIBILITY; ONE THAT EVERY LEBANESE LEADER SHOULDSEEK TO AVOID. ALL THIS, I SAID, IS A PERSONAL OBSERVATION, BUT ONE FOR HIM TO CONSIDER SERIOUSLY. SOONEST TO DAMASCUS TO DISCUSS ELECTIONS AND SECURITY. HE HIMSELF WOULD DO WHAT HE COULD DO TO CUT DOWN FIGHTING. 5. ALL ABOVE CONDUCTED IN CORNER OF HIS LIVING ROOM, AWAY FROM WINDOWS, AS THERE WAS SHOOTING IN THE NEXT STREET. 1. SUMMARY: SAEB SALAM’S EXPRESSION OF SORROW RE MURDER OF MELOY AND WARING GAVE ME OPENING TO URGE THAT HE USE HIS INFLUENCE TO SEE THAT MURDERS ARE BROUGHT TO JUSTICE. SALAM PLACED MUCH OF BLAME FOR CURRENT LEBANESE SITUATION ON SYRIANS, WHO HE CLAIMED HAD ALIENAT ED ALL LEBANESE MOSLEMS. HE ACCUSED SYRIA AND U.S. OF MANIPULATING SARKIS ELECTION AS PRESIDENT AND CONTENDED THAT SARKIS (IN CONTRAST TO RAYMOND EDDE) HAS NO POLITICAL FOLLOWING. IN ADDITION, HE CLAIMED SARKIS IS SURROUNDED BY CORRUPT INDIVIDUALS. NEVERTHELESS, SINCE HE HAS BEEN PICKED, ALL LEBANESE SHOULD LINE UP BEHIND HIM. SALAM WELCOMED CONCEPT OF ROUNDTABLE CONFERENCE, BUT SAID CEASEFIRE MUST COME FIRST. EGYPT’S STAR IN ARAB WORLD, HE BELIEVED, HAS NOW RISEN AT SYRIA’S EXPENSE. END SUMMARY. 2. IN PROCEEDING TO MY MEETING JULY 1 WITH SAEB SALAM, FORMER PRIME MINISTER, THERE WAS MUCH MORE NORMAL ACTIVITY ALONG THE ROUTE THAN THE DAY I CALLED ON PRIME MINISTER KARAME (JUNE 29). IN THE LATTER INSTANCE THE ROADS WE PASSED THROUGH WERE ALMOST DESERTED–THE BATTLES OF TELL ZAATAR AND JISR AL-BASHA WERE AT THEIR HEIGHT. YESTERDAY, PEOPLE WERE WALKING THE SIDEWALKS, AND MAKESHIFT SHOPS LINED THE SEASIDE CORNICHE. 3. MY MEETING WITH SAEB SALAM JULY 1, WHICH LASTED TWO HOURS (HALF HOUR LONGER THAN THE MEETING WITH KARAME), BEGAN WITH HIS EXPRESSING HIS SORROW ON DEATH OF AMBASSADOR MELOY AND BOB WARING. HE ASKED IF WE KNEW WHO HAD COMMITTED THE MURDERS. I REPLIED IN THE NEGATIVE AND SAID IT WOULD BE USEFUL IF HE COULD HELP US TO GET MORE INFORMATION. HE AGREED IMMEDIATELY TO RAISE THE QUESTION WITH THE PEOPLE CARRYING OUT THE INVESTIGATION (I.E. PALESTINIANS). I ADDED THAT WE WOULD EXPECT IN SUCH A CASE FOR THE QRIMINALS TO BE TRIED AND PENALTY OF DEATH IMPOSED. HE SAID MOST IMPORTANT THING IS TO FIND OUT WHY THEY DID IT AND WHO ORDERED THE MEN TO DO IT. HE ADDED THAT HE THOUGHT PALESTINIANS CARRYING OUT THE INVESTIGATION HAD NOT YET FOUND THE PEOPLE WHO ACTUALLY DID THE KILLING. 3. I EXPLAINED TO SALAM THE FRAME OF REFERENCE FOR MY PRESENCE IN LEBANON AND STRESSED THAT I HAD NO ANSWER TO LEBANON’S PROBLEMS. I WAS, HOWEVER, PREPARED TO BE HELPFUL IF THERE WAS ANYTHING THE U.S. COULD USEFULLY DO. I INTENDED TO KEEP A RELATIVELY LOW PROFILE. AS SOON AS POSSIBLE, I WANTED TO BE IN TOUCH WITH THE CHRISTIANS ON THE OTHER SIDE. SALAM AGREED THAT I SHOULD DO SO WHENEVER I COULD. I RESPONDED THAT THIS IS UNTRUE. FURTHERMORE, U.S. SUPPORTS NO FACTIO N IN LEBANON AND WANTS ONLY TO SEE PEACE AND STABILITY RESTORED TO AN INDEPENDENT LEBANON IN FRAMEWORK OF UNITY AND COHESION. 5. SALAM SAID HE WAS PREPARED TO ACCEPT FACT THAT U.S. DOES NOT FAVOR PARTITION OF LEBANON BUT, FRANKLY, HE COULD NOT HELP BUT FEEL THAT SYRIA WOULD NOT HAVE ACTED AS IT DID WITHOUT U.S. ENDORSEMENT PLUS CLOSE COORDINATION WITH ISRAEL. THERE IS BOUND TO BE SUSPICION OF U.S. MOTIVES AND ACTIONS IN VIEW OF LONG-ESTABLISHED AND STRONG U.S. SUPPORT FOR ISRAEL. THIS IS WHY, HE CONTINUED, SOVIET AMBASSADOR TODAY IN LEBANON IS FETED EVEN THOUGH LEBANESE DO NOT LIKE COMMUNITOU HE ALLUDED TO “INCAPABILITY” OF USG TO INTRODUCE TROOPS INTO LEBANON, AND SAID THIS IS GOOD THING. I AGREED USG WOULD NOT MILITARILY INTERVENE IN LEBANON, BUT STATED THAT REASON FOR THIS IS THAT SUCH A MOVE WOULD HURT U.S. INTERESTS ALL OVER ARAB WORLD. 6. SALAM WAS HIGHLY CRITICAL OF THE SYRIANS. HE DEPLORED THEIR BEHAVIOR IN LEBANON AND BLAMED THEM IN LARGE MEASURE FOR PRESENT STATE OF AFFAIRS. HE SAID THE SYRIANS BEAR A GREAT DEAL OF RESPONSIBILITY FOR THE EROSION OF SITUATION IN LEBANON BECAUSE THEY HAD FIRST TRIED TO USE SAIQA AS THEIR INSTRUMENT IN LEBANON. THIS’ HAD ANTAGONIZED LEBANESE, PARTICULARLY SINCE SAIQA MISBEHAVED, LOOTING ALMOST EVERYTHING IN SIGHT. SYRIANS HAD THOUGHT NAIVELY THAT SOMEHOW SAIQA COULD PRESERVE SYRIA’S INTERESTS IN LEBANON, BUT SAIQA WAS SOUNDLY DEFEATED. NOW THE SYRIANS HAD MADE EVERY MOSLEM AN ENEMY AND THEY SHOULD LEAVE LEBANON. SALAM SAID U.S. MUST BE HAPPY TO SEE THE ARABS IN DISARRAY BECAUSE THIS WEAKENS THE ARABS. I RESPONDED THAT THIS IS ALSO UNTRUE AND, IF IT WOULD BE HELPFUL, I WOULD BE SAYING AS MUCH TO THE PRESS. SALAM SAID THAT ACTIONS SPEAK LOUDER THAN WORDS. AMONG OTHER THINGS, I OBSERVED, ARAB DISARRAY IMPEDED ARAB-ISRAELI PEACE NEGOTIATIONS, TO WHICH WE ATTACH THE GREATEST IMPORTANCE. AND INACCURATE ALLEGATIONS. SALAM INSISTED THAT MOST LEBANESE BELIEVED THAT U.S. AS WELL AS SYRIANS HAD BACKED SARKIS. OTHERWISE, EDDE WOULD HAVE BEEN ELECTED. HE WAS UNABLE TO EXPLAIN HOW THIS COULD BE THE CASE IF AT THE SAME TIME LEBANESE HAD LOSS OF CONFIDENCE IN USG POLICY. 8. IF EDDE HAD BECOME PRESIDENT, SALAM CONTINUED, HE WOULD HAVE BEEN ABLE TO DRAW 90 PER CENT OF MARONITE SUPPORT AWAY FROM TRADITIONAL EXTREMISTS SUCH AS GEMAYEL, CHAMOUN AND FRANGIE. SARKIS, ON OTHER HAND, HAS NO POLITICAL FOLLOWING. HE SAID EDDE ACTUALLY POSSESSED A MAJORITY OF THE VOTES, AND PROBABLY WOULD HAVE BEEN ELECTED PRESIDENT IN MARCH WHEN PARLIAMENT PRESENTED FRANGIE WITH A PETITION FOR HIS RESIGNATWON SIGNED BY 66 DEPUTIES. SALAM PROFESSED TO KNOW FOR A FACT THAT FRANGIE WAS PREPARED TO RESIGN THAT MORNING, BUT CHANGED HIS MIND AFTER HE GOT A TELEPHONE CALL FROM PRESIDENT ASSAD IN DAMASCUS. THIS, HE STATED, WAS ANOTHER INSTANCE OF SYRIAN RESPONSIBILITY FOR LEBANON’S PROBLEMS. SALAM WENT ON TO SAY THAT HE IS CONVINCED THAT SYRIA HAS DESIGNS ON THE BEKAA. HE ALLEGED THAT SYRIA IS NOW IN THE PROCESS OF INTEGRATING THE SCHOOL SYSTEM THERE INTO THE SYRIAN SCHOOL SYSTEM. 9. SALAM REITERATED HIS VIEW THAT SARKIS WAS ELECTED BY SYRIAN BACKING. BEISDES NOT HAVING POLITICAL SUPPORT AMONG THE MARONITES, SARKIS HAS SURROUNDED HIMSELF WITH CHEHABISTS AND A GROUP OF CORRUPT PEOPLE, MANY OF WHOM HAVE BEEN AROUND FRANGIE (SUCH AS SHEIKH BUTROS KHOURY). NEVERTHELESS, NOW THAT HE IS PRESIDENT, CONTINUED SALAM, THERE IS NO CHOICE BUT TO LINE UP BEHIND SARKIS AND TRY TO HELP HIM. 10. SALAM SAID IT WAS A GREAT MISTAKE TO REFER TO CHRISTIAN AND MOSLEM FACTIONS, RESPECTIVELY, AS “RIGHTISTS” AND “LEFTISTS.” MAJORITY OF MOSLEMS ARE NOT TO THE LEFT POLITICALLY. LEBANESE DO NOT LIKE OR WANT COMMUNISM. COMMITTEE. HOWEVER, DIALOGUE COMMITTEE, WHICH SHOULD HAVE BEEN LIMITED TO FEW KEY INDIVIDUALS, HAD BEEN CONSTITUTED WITH TOO MANY REPRESENTATIVES FROM JUMBLATT’S LEFTIST PARTIES, FOR EXAMPLE, AND HAD NEVER GOTTEN GOING. BY THE SAME TOKEN, HE WONDERED IF A ROUNDTABLE CONFERENCE WERE POSSIBLE AT THIS TIME WHILE FIGHTING CONTINUED. A CEASEFIRE OUGHT TO BE THE FIRST STEP. 12. SALAM NOTED THAT EGYPT HAS NOW ONCE AGAIN BECOME POPULAR IN ARAB WORLD AT SYRIA’S EXPENSE. ARABS ARE NOW SAYING THAT AT LEAST SADAT HAS BEEN DIRECT AND ABOVEBOARD IN AGREEMENTS HE NEGOTIATED WITH ISRAEL RE SINAI. ASSAD, ON OTHER HAND, IS CONSIDERED UNDERHANDED AND DEVIOUS. EGYPT HAS BENEFITED BY BECOMING CH TWVON#OF PALESTINIANS. 13. SAEB SALAM’S REMARKS ON TOPICS OF MORE CURRENT INTEREST WERE REPORTED IN BEIRUT 5755. 14. COMMENT: SAEB SALAM REMAINS AN INTERESTING AND CHARMING PERSON TO TALK TO. THOUGH SEPTUAGENARIAN AND VOLUBLE, HE KEEPS UP WITH THE TIMES REASONABLY WELL. MANY OF HIS INTERPRETATIONS OF EVENTS FIT INTO A GENERAL PATTERN WHICH IS SHARED BY MARONITE LEADERS SUCH AS RAYMOND EDDE AND RIVAL MOSLEM TRAIDITONALISTS SUCH AS KARAME. HE CONSIDERS JUMBLATT A CONSERVATIVE LIKE HIMSELF, THOUGH ONE WHO IS PLAYING A DANGEROUS GAME WITH THE LEFT. HE SEEMS TO HAVE THE SAME FAITH KARAME EXPRESSED TO ME A FEW DAYS AGO THAT THE LEBANESE CAN SETTLE THEIR DIFFERENCES REASONABLY WELL IF ONLY OUTSIDERS–PARTICULARLY THE SYRIANS–WILL PERMIT THEM TO DO SO. ALTHOUGH NOT ESPECIALLY IMPORTANT IN A TIME OF ARMED WARFARE, HE REMAINS AN INFLUENTIAL POLITICIAN BEHIND THE SCENES AT LEAST UNTIL SUCH TIME AS THE YOUNGER GENERATION PRODUCES POLITICIANS OF NOTE RATHER THAN JUST FIGHTERS. NOTE BY OC/T: AS RECEIVED. 1. SUMMARY: DURING MEETING WITH SAEB SALAM AUG 18, HE CRITICIZED CHAMOUN AND FRANGIE, DESCRIBED HIS ATTEMPTS TO BEGIN A SUNNI-CHRISTIAN DIALOGUE WITH PIERRE GEMAYEL, ATTACKED SYRIA’S ROLE IN LEBANON, AND URGED USG TO PUT PRESSURE ON CHRISTIANS TO BRING THEM TO NEGOTIATING TABLE. END SUMMARY. 3. PERSONALITIES. SALAM RAN THROUGH HIS POLITICAL OPPONENTS, GIVING THUMBNAIL SKETCH OF EACH: CHAMOUN HE DESCRIBED AS CLEVER, MEAN AND VENAL, USING WAR TO ENRICH HIMSELF; FRANGIE AS A “CRIMINAL,” COMPLETELY UNTRUSSTWORTHY AND DOMINATED BY CHAMOUN; JUNBLATT AS “THE BIGGEST FEUDALIST IN LEBANON,” PRIMARILY A JUNBLATTI, INTERESTED IN USING SITUATION (AND IRAQI AND LIBYAN MONEY) TO BUILD HIS OWN POSITION. HE STILL FEARED FRANGIE MIGHT NAME CHAMOUN PRIME MINISTER AND REFUSE TO CALL SPECIAL SESSION OF CHAMBER OF DEPUTIES, THUS PREVENTING SARKIS FROM TAKING OATH AS PRESIDENT AND ASSUMING OFFICE. PIERRE GEMAYEL, HE SAID, IS UNLIKE THE OTHERS; HE AT LEAST HAS A REAL CAUSE–DEVELOPMENT OF THE MARONITE CONSCEOUSNESS AND CONTAINMENT OF PALESTINIANS. MIGHT TAKE, BUT SAID THAT TOO MUCH HAD HAPPENED TO GO BACK TO LEBANON OF FIVE YEARS AGO. A CEASE FIRE OR ARMISTICE IS VITAL, SINCE THIS WOULD GIVE MODERATE ELEMENTS IN BOTH CAMPS CHANCE TO DOMINATE THE EXTREMISTS. WHEN THERE IS FIGHTING, THE EXTREMISTS DOMINATE, AS IN CASE OF TELL ZAATAR WHEN PHALANGE WAS WILLING TO HONOR A TRUCE BUT CHAMOUNISTS FORCED THE BATTLE. HE HAD URGED AL REP KHOLI TO ORGANIZE AN AL FORCE THAT WOULD BE STRONG ENOUGH TO KEEP COMBATANTS APART. IMPORTANT THING WAS TO GET TALKS STARTED SO THAT SEARCH FOR NEW FORMULA COULD BEGIN. 5. SYRIA. AS IN HIS DISCUSSION WITH AMB SEELYE (REF A), SALAM WAS VERY CRITICAL OF WAY SYRIA HAS PLAYED ITS HAND IN LEBANESE GAME. HE COULD UNDERSTAND THAT SYRIA WANTED TO CONTROL EVENTS IN LEBANON, AND IF THEY HAD ACTED SUBTLY THEY MIGHT HAVE BEEN ACCOMMODATED; HOWEVER, ASSAD HAD BEEN VERY CLUMSY AND DISPLAYED HIS IGNORANCE OF LEBANESE POLITICS. ALL LEBANESE HAD BEEN HORRIFIED BY EXCESSES OF THE SAIQA, AND ASSAD HAD FURTHER ALIENATED THEM BY SENDING ZUHAIR MUHSIN TO CHTURA AS HIS SPOKESMAN. 6. THE U.S. ROLE. SALAM WAS LESS CRITICAL OF U.S. THAN IN HIS TALK WITH AMB SEELYE. HE REITERATED WELL-KNOWN LITANY THAT USG CONSTANTLY ACTED AGAINST ITS OWN INTERESTS IN THE MIDDLE EAST BY SUPPORTING ISRAEL, BUT MADE NO REFERENCE TO U.S. PARTICIPATION IN A “CONSPIRACY” AGAINST LEBANON (PARA 4.1REF A) EXCEPT TO SAY THAT HE DID NOT BELIEVE IT. HE SAID MOST USEFUL STEP USG COULD TAKE NOW WOULD BE TO PUT PRESSURE ON CHRISTIANS, AND SYRIANS IF WE COULD, TO COME TO CONFERENCE TABLE WITH MINIMUM OF CONDITIONS. CHARGE REPLIED THAT, AS SALAM KNEW FROM HIS TALK WITH AMB SEELYE, WE HAD BEEN TRYING TO FIND WAY TO MAKE DIRECT CONTACT WITH CHRISTIAN LEADERS AND ARE STILL INTERESTED IN DISCUSSING SITUATION WITH THEM. THAT AS LONG AS WAR GOES ON HE HAS NO POWER, BECAUSE HE HAS NO TROOPS. IF AND WHEN TALKING STAGE BEGINS, HOWEVER, TRADITIONAL LEBANESE POLITICIANS LIKE SALAM, WHO HAVE NOT BEEN DIRECTLY INVOLVED IN THE FIGHTING, MAY PLAY A USEFUL ROLE IN BRINGING VARIOUS WARRING FACTIONS TO COOFERENCE TABLE AND TEMPERING SOME OF THEIR MORE EXTREME DEMANDS.